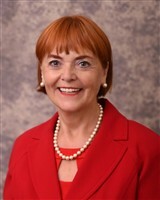 Linda Menard Post has had a long and distinguished career as a legislator and educator. Inspired by the leadership experience she gained as a member of the Matanuska-Susitna (Mat-Su) School Board for 12 years, she was elected in 2009 to represent District G of the Alaska State Senate. She was quite proud to be able to represent the fabulous state of Alaska and give back to her community. Notably, her first husband was also a senator, and they were the first husband and wife team to be elected. In addition to her legislative work, Ms. Menard Post served as the owner of the Mrs. Alaska Franchise, which represents women who have honored the state, and as the owner and founder of All I Saw Cookware, which is an upper-end house wares company. She was also the chief financial officer of Wasilla & Palmer Dental Centers, where her first husband practiced dentistry, a teacher for the Mat-Su Borough School District, and a substitute teacher for the Alaska Job Corporation. Additionally, Ms. Menard Post is the founder of the Mat-Su Schools Foundation, which enriches and expands educational opportunities for children in the school district, and a charter member of the Mat-Su Convention & Visitors Bureau, which strives to create a vibrant tourist industry and an authentic Alaska experience. Ms. Menard Post prepared for her endeavors by earning a Bachelor of Science in elementary education with a major in psychology and music from the University of Alaska in 1975. To stay in touch with her community, she joined the Alaska chapter of the American Cancer Society and the Alaska Antique Tractor Club, for which she has driven tractors in local parades. As a testament to her accomplishments, Ms. Menard Post was named Champion for Children in 2007 and Citizen of the Year by the Wasilla Chamber of Commerce in 1999. She received the First Lady Volunteer Award from Ermilee Hickel of the State of Alaska in 1994, and the Henry Jall Fellowship Award that same year. Additionally, Ms. Menard Post was named Super Lawyer of the Year, Best Energy Lawyer in Oregon, and Member of the Year by the Building Owners and Managers Association. She was honored to be featured in numerous editions of Who’s Who in America, Who’s Who in the World, and Who’s Who of American Women. When Ms. Menard Post has free time, she enjoys playing bridge and scrabble.